The table-tops coffee machine market is growing and the pace of growth is accelerating, largely thanks to the technological developments that heralded the arrival into the marketplace of touch screens and – critically – fully automatic machines that use fresh milk to create a genuine coffee-shop experience in the workplace. And at Vendex, you’ll see the cream of the crop courtesy of the Necta range on the EVOCA UK stand. With the introduction of the Karisma to the OCS and HoReCa marketplaces, Necta re-defined the way great coffee is created and served. The first fully automatic machine to deliver fresh milk drinks in these sectors, Karisma proved that authentic Italian espresso based drinks were no longer the exclusive preserve of highly-trained baristas. Here was a machine that could be located front of house, enabling consumers to serve themselves lattés, cappuccinos and flat whites that were every bit as satisfying as those offered by specialist coffee shops. EVOCA Group is the only manufacturer making fresh-milk machines from the ground up. Fresh milk isn’t a ‘bolt-on’: these machines were designed specifically to offer fresh milk. And now, the march of innovation continues in the form of the Necta Kalea. Kalea has two bean canisters and one instant, and it sits just below Karisma in the Evoca Group range offering all its great features and benefits but with slightly lower water and steam capacity. Kalea’s appealing user interface ensures that using the machine a real pleasure. The 7” touch screen is quick and easy to customise and the modular construction of Kalea’s interior is thoughtfully designed to make access to components easier than ever. Consequently, replacing parts is a breeze and maintenance costs are minimised. 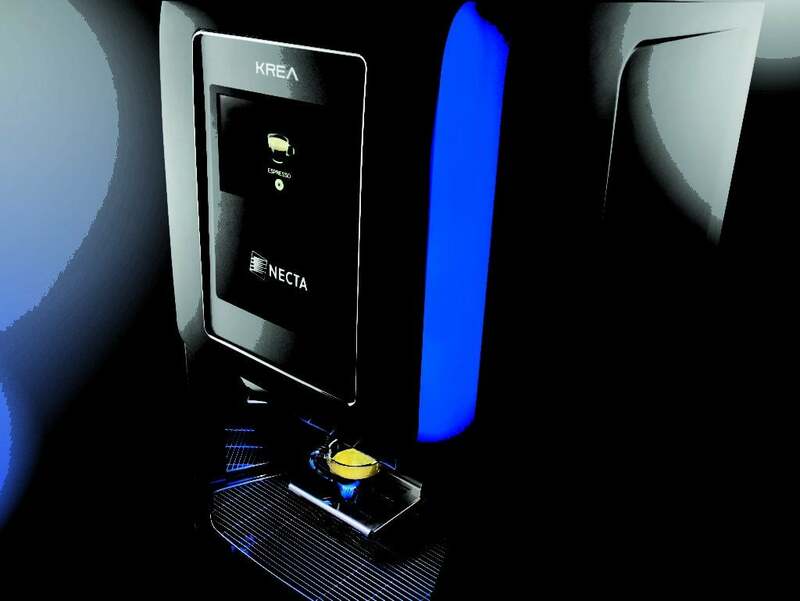 When Necta introduced the Krea Touch from Necta, they described it as a ‘head-turner’. 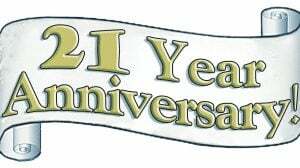 Since then, it has turned into one of the most successful products the brand has ever had, with more than 300 units sold in the UK. A spacious drinks delivery area consolidates the up-market HoReCa feel of Krea Touch. It reinforces the consumer’s first impression – that the drinks on offer are genuinely top quality – thereby allowing operators to command premium prices. What’s more, its attractive, user-friendly interface ensures consumers enjoy a particularly pleasant purchasing experience, time after time. With Krea Touch they’ll be back for more; that’s for sure. The wide touch screen can present a comprehensive drinks menu and it facilitates easy branding and customisation, not to mention recipe and video management. Krea Touch and Kalea are compatible with all current payment systems, so they can be assimilated easily into your existing product portfolio. 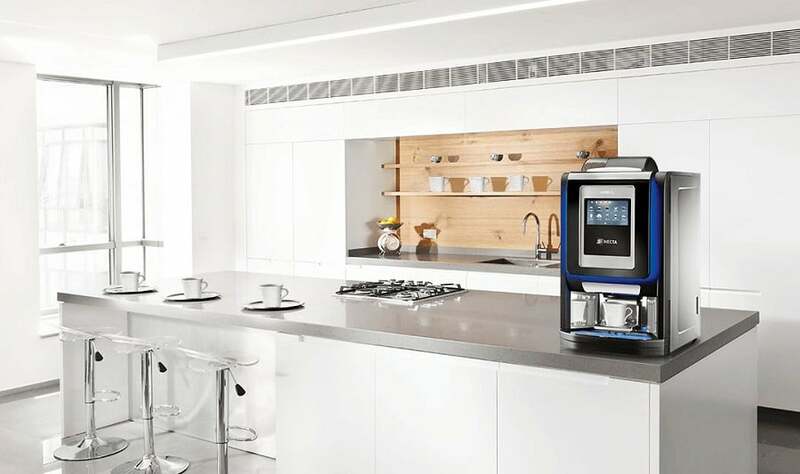 So, if the people who inhabit your building are constantly sloping off, because that’s the only way they can get a decent cup of coffee, you have a solution in two great machines from the EVOCA Group’s world-famous Necta brand. After all, who needs sticks when you’ve got carrots like these! We’ll be waiting for you at Vendex Midlands on stand 20. Come and say ‘hello’! 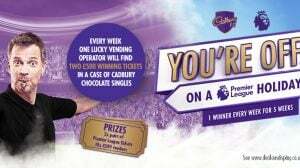 Order Cases of Cadbury Chocolate Bars from Automatic Retailing to WIN! Planet Vending’s Editor is Ian Reynolds-Young and it’s Ian’s unique writing talent that has made PV what it is today – the best read (red) vending blog in the world, and vending’s best read (reed). Ian ‘tripped and fell into vending’, in the capacity of PR executive, before launching a specialist agency, ‘reynoldscopy’, dedicated to the UK Vending business. The company continues to represent the interests of many of the sector’s leading brands. Now It’s Vendex, We’re Celebrating A Giant January! Subscribe to our email updates and get the latest vending news directly to your inbox every Friday afternoon. Simples! 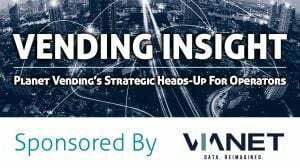 Bye, Bye Traditional Vending: Hello Micro Markets! © Copyright Planet Vending Ltd 2019.